Labor Day Weekend is usually one of the deadliest times of the year on the state’s roadways, so law enforcement agencies across Washington will increase DUI patrols through Sept. 3 for drivers safety. “When you’re drunk or high, you have big ideas, but not necessarily good ideas. Before the party starts, you need to plan to have a safe ride home. If you don’t, you risk a DUI. That means up to a year in jail, a $5,000 fine, a suspended license, an ignition interlock device installed in your car, legal bills…and lots of uncomfortable conversations. So plan ahead. Drunk-you will thank you. For that matter, so will hungover-you,” by Target-Zero. “From 2012 through 2014, the time period analyzed in this plan, 1,336 people lost their lives in motor vehicle crashes in Washington State. We have to ask ourselves: How many deaths and serious injuries are “acceptable” on Washington’s roadways? How many of your family members would it be “acceptable” to lose to traffic crashes each year? Ten? Five? “Of course, the answer is none. Zero. The goal of every Washington State citizen should be zero deaths and serious injuries on our roads and highways. The personal, financial, and societal loss for every person killed or injured in traffic crashes is enormous. The loss of even one family member, co-worker, or friend is unacceptable. “That’s why Washington State has adopted Target Zero — a goal to reduce traffic fatalities and serious injuries on Washington’s roadways to zero by the year 2030. Our goal is zero deaths and serious injuries, because every life counts. 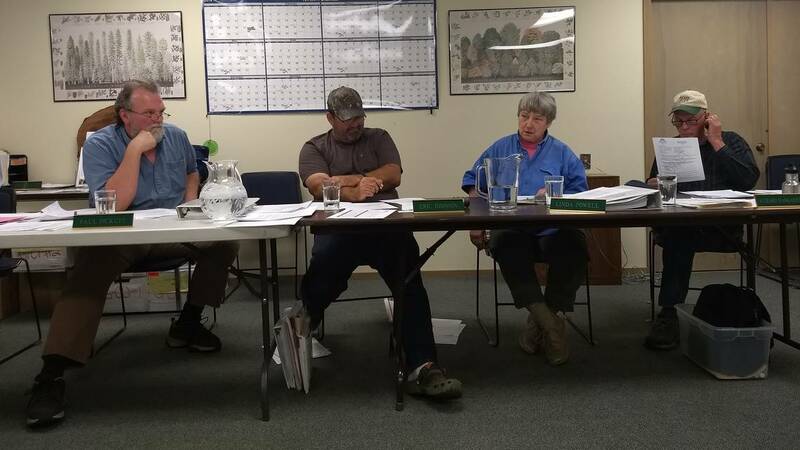 “Thurston Conservation District’s board members at a June meeting. Photo Credit: Abby Spegman, The Olympian. Richard Mankamyer is from Yelm. “A report by commission staff released in July found Eric Johnson, the board of supervisors’ chairman, and Richard Mankamyer, its auditor, failed to respond to a public records request, delayed or refused to sign district checks, and prevented the release of board meeting minutes to the public,” by Abby Spegman, The Olympian. A hearing on removing two farmers from Thurston County Conservation District board will be held in October. By Don Jenkins, Capital Press. Last weekend’s Rainier Roundup 2018 heralded in a video! Rainier Roundup 2018 – The Movie! Click here for a short video from the Rainier Roundup and Bluegrass festival, one of the best in Rainer yet! 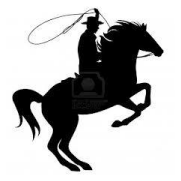 the official destination marketing organization for Thurston County! in Mishawaka, Ind.” Photo credit: Robert Franklin, South Bend Tribune via AP. If you would like to join South Puget Sound Habitat for a day of building on their construction sites, click here! SPS Habitat is a volunteer driven organization serving families and communities in Thurston County. “From their seats, almost 4,000 people watched former President Jimmy and wife Rosalynn Carter walk into the Purcell Pavilion, as a man with a long white beard tagged along. 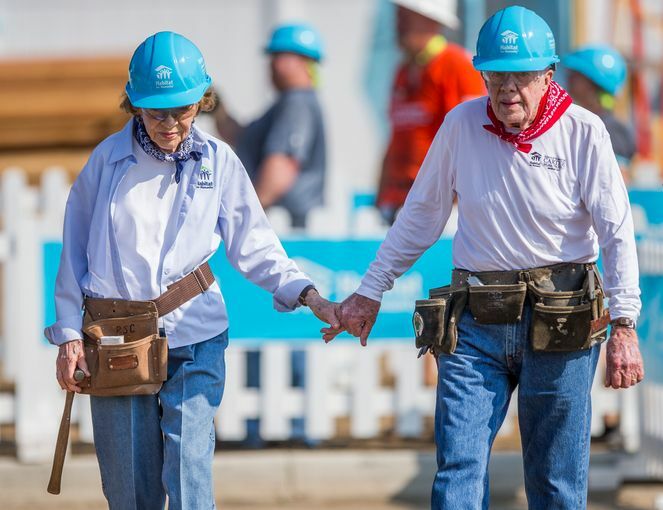 “Jimmy Carter, 93, strolled to the podium in jeans and a button-down Habitat shirt, with his wife of 72 years, Rosalynn, 91, beside him. He quickly started to pay tribute to the “best volunteer we’ve ever had,” their close friend, LeRoy Troyer, the Amish-born founder of a Mishawaka architectural firm, who for 33 years has been the boss on the house where they’ve toiled. Troyer, who has served on Habitat’s international board, is also a key reason that this week’s massive build is coming to St. Joseph County,” by Joseph Dits, South Bend (IN.) Tribune. Interview with Andrea Mitchell, MSNBC, August 28, 2018. “South Puget Sound Community College (SPSCC) is providing several new opportunities for Yelm residents to complete high school and get college credit starting fall of 2018. Whether you’re in high school and looking to get a jump start on college, or you’re a full time working adult looking to start college or get your high school diploma, SPSCC has options for you,” by Marta Helpenstell in Thurston Talk. 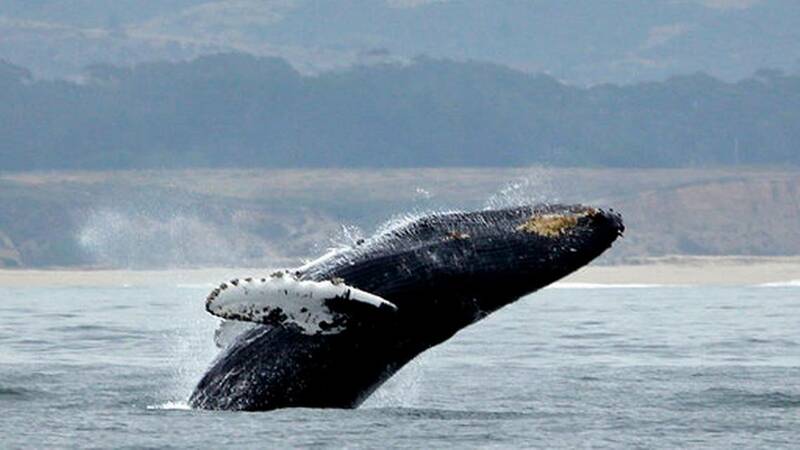 Endangered West Coast humpback whales to be protected by the Trump Admin. A humpback whale breeches off Half Moon Bay, CA., Aug. 7, 2017. Photo credit: Eric Risberg, AP File Photo. “The suit by the Center for Biological Diversity, Turtle Island Restoration Network and Wishtoyo Foundation, a nonprofit that represents Native American tribes, was settled Friday [Aug. 24] in federal district court in San Francisco. “The National Marine Fisheries Service agreed to designate critical habitat for the animals by mid-2019 and finalize those boundaries a year later,” by the AP. 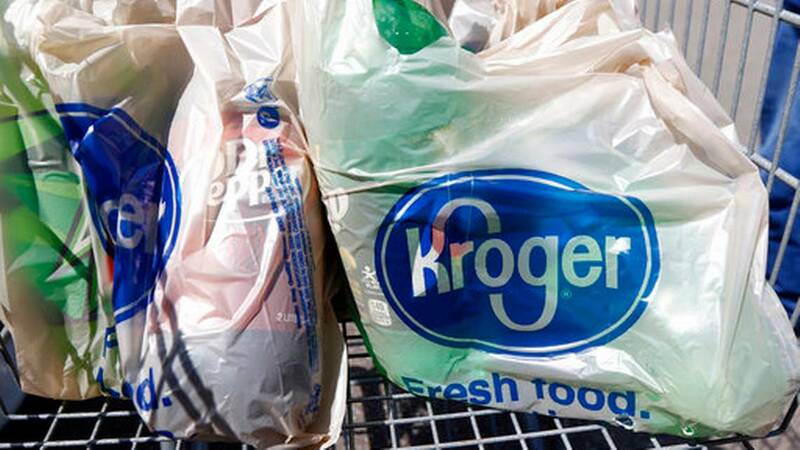 Cincinnati-based Kroger Co. to phase-out plastic bags at their stores. When Albertsons’ Safeway brand phases out plastic bags, will the last major county jurisdiction, Yelm’s City Council, finally get the 4 council votes required to pass a plastic bag ban here? This no-brainer of an initiative has been previously vetoed by the pre-2018 council. The time has come to bring this to a vote by the 2018-2019 council! “Seattle is once again setting trends for environmental practices at stores: A little more than six years after the city banned plastic bags, the nation’s largest grocery store is beginning to phase out the use of plastic bags as more Americans grow uncomfortable with their impact on the environment. “Kroger Co. will start Thursday [Aug. 23] at its QFC stores in and around Seattle, with the goal of using no plastic bags at those stores next year. Fred Meyer, which is also owned by Kroger, will follow soon after. The company said it will be plastic-bag free at all of its nearly 2,800 stores by 2025. Retail stores in Seattle were banned from issuing single-use plastic bags in July of 2012. The move spread, with over a dozen cities in the state, including Tacoma and Olympia, also banning plastic bags,” quoting the Seattle PI. “The Washington Supreme Court has affirmed a $12 million verdict against Thurston County over a mining permit for a Maytown property. “The case centered on a permit to mine gravel issued by Thurston County in 2005 for land near the intersection of Interstate 5 and state Route 121, once the site of an explosives plant,” by Abby Spegman, The Olympian. Sen. McCain hated the press, though was always passionate about free press! U.S. Navy Lt. Commander John S. McCain III was welcomed by then-President Richard Nixon on May 24, 1973. I was in high school in the early 1970s when I first recall hearing of John McCain for his refusal to accept release from the “Hanoi Hilton” prisoner of war detention center ahead of POWs who had been there longer. His captors had learned that his father was an important figure in the U. S. military (who would eventually be made the Commander-in-Chief of the Pacific command) and offered to relase him early for what they thought would be political purposes. McCain refused to leave unless his comrades were as well. In 1973 at the end of my freshman year in college, what impressed me was his stoicism when he was finally released with his fellow POWs and deplaned the military transport aircraft from Vietnam at the then-U. S. Clark Air Base in the Philippines, televised live to the nation. A battered body from years of torture and improper treatment for his injuries, U.S. Navy Lt. 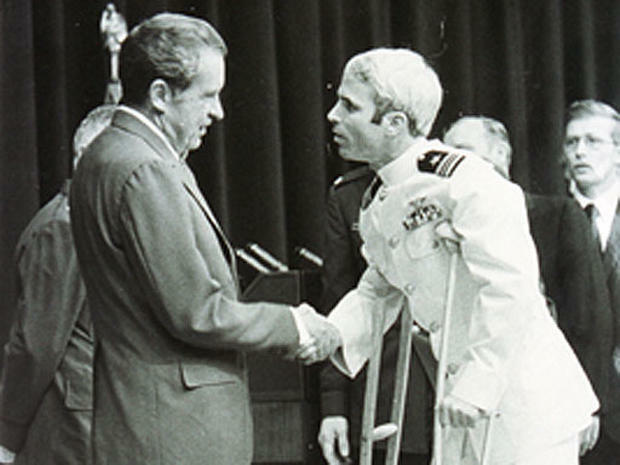 Commander McCain met and was honored by President Nixon, barely able to walk. Though not agreeing with some of his hawkish views, I always appreciated his advocacy for a free press and denouncing use of torture on U. S. prisoners, two major issues where his voice lent great weight. This nation is greater for having been served honorably by Sen. John S. McCain III! “When asked whether he agreed with President Trump’s declaration that the press is the “enemy of the American people,” McCain offered a stern warning. “I’m not saying that President Trump is trying to be a dictator, I’m just saying we need to learn the lessons of history,” by NBC News, Meet the Press. “Played and replayed constantly since the senator’s death on Saturday at age 81, the [2008 Presidential campaign] moment seems to presage the rise of the ‘birther movement,’ the era of ‘alternative facts’ and the presidency of Donald Trump less than a decade later. “At a high school about 30 miles south of Minneapolis, a blond woman in a red shirt addresses McCain, who is in the final weeks of what will be his second failed run for the White House. “‘No, ma’am,’ McCain replies, shaking his head and taking the microphone from her. ‘He’s a decent family man and citizen that I just happen to have disagreements with on fundamental issues, and that’s what this campaign is all about,'” by Greg Jaffe, MSN.